Congratulations on your admittance to Harvey Mudd College, we are very excited to have you join us on campus! Please use the following information to help guide you through the visa application process and please do not hesitate to contact the International Students and Scholars (ISS) Office at any time at dso@hmc.edu.  Please follow us on Instagram @international_mudders for news and updates about programs and events from the ISS Office. You must obtain a student visa from a U.S. Embassy or Consulate. Do not enter the U.S. on a B (tourist) visa or visa waiver program as you will not be able to study. You can find your embassy/consulate office by visiting Websites of U.S. Embassies, Consulates, and Diplomatic Missions. If your country does not have a U.S. embassy or consulate office, you may go to a neighboring country to apply. Note: Most Canadian citizens are not required to obtain a student visa. Instead, Canadians present an I-20 and proof of financial support at the port of entry to be issued an F-1 student visa (Canadian citizens must still pay the SEVIS fee). HMC is unable to intervene on your behalf and cannot guarantee visa issuance. The U.S. consular officer will determine whether you qualify for the student visa. The most common reason for visa denial is because the consular officer feels the student will not return to his/her home country. Be prepared to show that you have strong reasons for returning home after your studies. Take any documentation that will help you show this (for example, a job offer or support letter from your current employer). Be prepared to explain how your studies in the U.S. will help you in your professional career when you return home. DO NOT REHEARSE A SPEECH. Think about your responses, but let your answers come naturally, and be prepared for follow up questions. Consular officers have limited time. Keep your answers short and to the point; answer only the question that is being asked. Many students plan on working in the U.S. to support themselves. However, your main purpose in coming to the U.S. is to study. Do not focus on any employment benefits during your interview. If asked, be prepared to explain how any employment benefit (for example, OPT ) will prepare you for a career at home. Remain calm and be friendly throughout the process. Do not argue with the officer. If you are denied a visa, ask for a written reason of the denial and for a list of documents that will help you make a stronger case in the future. You can enter the U.S. up to 30 days before the start of your program. Upon arrival to the United States a U.S. Customs and Border Patrol Officer (CBP Officer) will review your documents and decide to grant you entry. If you do not have these documents with you, you may be denied entry! Make sure to keep them with you and do not put them in your checked luggage bag. You will generally be asked to provide a digital fingerprint scan and to take a photograph upon entry. This is called the U.S. VISIT biometric procedure. This is standard, and you should follow through with the request. All students entering the U.S. are issued an electronic I‑94 admission number. You can download your I‑94 card within 72 hours after arrival by visiting https://i94.cbp.dhs.gov. If you are given a paper card, staple this into your passport, across from your visa page. You will need to turn in the card when you depart the U.S. Occasionally, students are asked to wait to speak with an additional officer before being allowed entry into the U.S. This is called secondary inspection. There are many reasons you may be sent to secondary inspection. The most common reason is because of a previous termination or cancellation of a SEVIS record (previous I‑20/DS‑2019 record). It is wise to plan at least three hours in between connecting flights to account for the possibility of being asked to go through secondary inspection. If you are asked to go to secondary inspection, you will wait in a room until it is your turn to be seen—stay patient and relaxed during this process. Sometimes an officer will collect your documents, do some research, and send you out of the room without speaking to you. This is done in cases where their additional research has answered their questions. Sometimes, though, the officer will need to speak with you directly. If you are asked to speak with an officer, answer his or her questions in an honest, calm, and friendly manner. Do not argue with the officer. When your interview is done, the officer will give you back your documents and most likely tell you to continue with your journey. You should arrange your flight in time to join us for international orientation. It is very important to be at orientation—do not miss this important event! You should also only arrange your flight after you have obtained your visa. Please visit https://www.hmc.edu/student-life/orientation/ for your orientation date. Ontario (ONT) is the closest airport to HMC (9.3 miles or roughly 15 kilometers). Los Angeles International Airport (LAX) is roughly 52 miles (about 84 kilometers) from Claremont. Harvey Mudd offers an optional, complimentary airport pickup service from the airport to Claremont for orientation. Students who are interested in using this service must make the request in the Registration Form. Please be mindful of the guidelines and schedule below. Students will receive a complimentary ride from the airport to Harvey Mudd. Note: International arrivals should anticipate needing two hours to claim baggage and clear U.S. immigration and customs. Domestic arrivals should anticipate needing one hour to claim baggage. Please be mindful of the day and time you will be arriving if you will be making private transportation arrangements, especially if you are staying with a homestay family. Packing Los Angeles County is located in Southern California, and typically enjoys warm weather, so pack accordingly. You will not need a thick winter coat here! Check out the Ultimate Travel Checklist (PDF) created by Projects Abroad for suggestions on what to pack. We also recommend bringing a traditional piece of clothing for International Week celebrations, the International Festival, and other cultural events. Clothing is a wonderful way to share your culture with others. There are also opportunities for student performances, so if you need something to show off your talent (for example, a specific outfit or musical instrument), consider bringing that with you as well. Lastly, as a HMC student you will make several industry presentations and have the opportunity to attend many professional networking opportunities. It is highly recommended that you bring professional attire with you (i.e. suit jackets, dress shirts, and professional dress shoes). If you take any prescription medicines, please arrange to bring a 30‑day supply with you to the U.S. It can take some time to set up your prescriptions here. If you come to the U.S. without the documentation listed here, you may still be granted admission at the discretion of the port of entry officer. If the officer lets you in, you will be given an I-515A Form. This allows you to stay in the U.S. for 30 days to give you time to prove lawful entry. If you receive an I-515A form, come to the International Student Services office immediately upon arrival. You can avoid this process, though, by having the documents listed here with you at the port of entry. Do not pack your I-20 and passport in your checked luggage! Put these in your carry on bag with your SEVIS fee receipt, proof of finances, and admission letter. We recommend that you contact your current provider to ask about a temporary international plan. It can be helpful to set up a plan on your current mobile phone for at least one month. This will give you time after you arrive in the U.S. to compare plans from different providers. Mobile phones are commonly referred to as “cell phones” in the U.S. Most cell phone contracts are for two years, but some cell providers have month‑to‑month and/or pre‑paid plans. You will need to decide which plan is best for you. There are two basic types of cell phone plans offered by cell phone companies in the United States: Pre-paid plans and Contract plans. Pre-paid or pay as you go plans are convenient as they generally have a standard monthly fee and do not require a contractor deposit. This plan does not require deposits or penalties for cancellation. Contract plans generally offer lower monthly rates than prepaid plans. However, these plans require an applicant’s credit history which is tracked by a U.S. social security number of a large deposit. Customarily, there is a large penalty for early cancellation of a contract plan, make sure that you understand the terms and conditions of the contract before agreeing to purchase it. Medical insurance is needed to see the a doctor in the United States. All international students are required to be enrolled in HMC’s Student Health Insurance Plan (SHIP), except in some special cases where scholarships include a health insurance plan. All students whose scholarships include a health insurance plan should speak to the health insurance administrator to verify that their health insurance plans are in compliance with all regulations. International students are automatically enrolled in SHIP and will not be allowed or able to waive out. All students must submit the Student Health Services Entrance Form under the “Undergraduate student” link. If you are unable to obtain proof of these tests/immunizations, you may have them completed at the Student Health Center after you arrive. This form also recommends other vaccinations, but you should also ask your doctor about further recommendations. You can submit the form directly to the Health Center through an international courier or via email at shsrecords@cuc.claremont.edu. Notify your current bank about traveling to the U.S. to ensure you can access your funds within the U.S.
Set up a mobile phone plan for use in the U.S. Pack – remember to bring a special cultural outfit and any prescription medication. Gather all items needed for the port of entry process and place them in your carry on item. Do not pack the items needed for the port of entry in your checked luggage bags. Don’t forget your home country’s driver license, if applicable. HMC does not require fellow DSO/ROs to complete and return transfer forms. If the student is in active status, please release the student’s record on the appropriate date. If the student has indicated s/he will be traveling outside the US before starting at HMC, we would appreciate a release date at least 2 weeks in advance of the leave date, when at all possible. If the student is out of status and will require a reinstatement, please contact us at dsol@hmc.edu or 909.607.8875 before transferring the record to HMC. Please transfer records to: Harvey Mudd College (LOS214F00425000) for F-1 students and Program Number (P-1-02946) Claremont Graduate University for J-1 Scholars and Researchers. On September 1, 2004 a new United States Department of Homeland Security (DHS) rule went into effect. This rule states that people who want an F-1 visa must pay a one-time fee of $200 for F visa applicants and $180 for J visa applicants. This fee helps pay for SEVIS (Student and Exchange Information System), the system used to issue I-20 forms. If you are applying for a new visa, there will be additional visa application fees. If you travel outside the U.S. for more than a 5 month period and are not active in SEVIS, then you will need to pay the fee. If you travel outside for less than a 5 month period, you do not need to pay the fee. If you are a continuing student, you will not need to pay the fee, even if you have to renew your visa stamp. The fee should be paid at least 3 business days before you apply for your visa, change of status or reinstatement application. No. At this time the SEVIS fee can only be paid by mail, online, or with Western Union Quick Pay. *If you mail the fee, then you must wait at least 3 business days after DHS receives your payment before trying to apply for your visa. DHS will mail you a paper receipt (called an I-797) to be used as evidence that you paid the fee, but there should also be an electronic record of your fee payment in the US Consulate’s database. It is strongly recommended that you wait for a copy of the paper fee payment receipt before making a visa application.The paper receipt (Form I-797) is mailed to the address you wrote on Form I-901. For an additional fee, you can ask DHS to express mail your receipt. Or you can wait until the receipt is mailed to you via regular postal service. Find the Form I-901 at FMJfee. Visit SEVIS I-901 Fee Payment by Western Union Quick Pay Instructions. The SEVIS fee will not be refunded, but if you apply again for an F-1/J-1 visa within 12 months of a visa denial you will not have to pay the fee again. If this happens, please let the DSO know immediately so that you can be helped with re-application for the Visa. It is essential to remember that you must take full responsibility for maintaining your status with the Department of Homeland Security (DHS). That is, you are responsible for finding out, knowing, and following pertinent regulations. Do you know when your passport expires? Make sure your passport is valid for at least six months beyond your entry date into the U.S. If you plan to take classes at another college during the summer breaks make sure to see the international student adviser before registering for classes. You should be enrolled in 12 undergraduate units (3 courses). If you need to drop below that, you must see the international student advisor for approval. Do not accept employment of any kind, either on or off campus, without written permission from the International Student Advisor and, if necessary, the United States Citizenship and Immigration Services (USCIS). Note: Please see DSO before working. This means being enrolled in at least 12 undergraduate units, attending regularly, and doing well in them. It is your responsibility to know when your visa and I-20 expire. Visa expiration: Please see DSO, 6 months before your visa expires. I-20 expiration: Please see DSO 2 months before your I-20 expires. While you are on an F-1 Visa, you are required to have medical insurance. International students are required to be enrolled in the Student Health Insurance Plan (SHIP), unless they have a comparable Health insurance provider from the United States. If you have any questions or concerns, please see Kim Nykanen in the Student Affairs Office or email her at knykanen@hmc.edu. Once you have completed your studies and any practical training that is authorized, you must leave the U.S., transfer your I-20 to another school, or change to another immigration status within the appropriate time allowed. Students in F-1 student immigration status are allowed to stay in the U.S. for 60 days beyond their completion date. If you are Planning to Travel Outside of the United States. If a student is planning to make a trip outside the U.S., the student must have the travel page of his/her I-20 form endorsed (signed) by any designated school official (DSO) at least 2 weeks before you plan to travel. Your travel signature is valid for up to one year of the day that it is signed for current students. Students on OPT and STEM OPT must get their I-20’s signed every six months to stay valid.